Not only did she win but she will be getting back in on the 4th Oct for round 2. 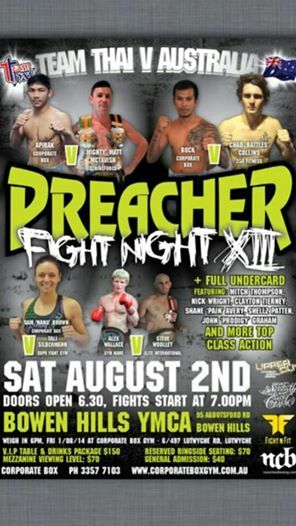 Alice & Presslea will be jumping in the ring August 2nd for their very first kickboxing fight. Tash & Suzi will be jumping in soon after. 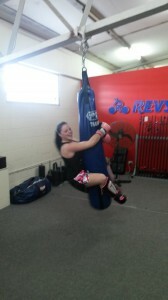 Fit As Fitness Training is now offering mobile Kickboxing & Boxing Personal Training!! If you are too shy or simply don’t want to train in a gym, but have always wanted to do some form of martial arts…here is your chance. If you want to learn the correct techniques before going to classes, looking a bit goofy & feeling left behind…here is your chance. FAFT will be offering this service to STAFFORD & surrounding suburbs and also out at whoop whoop, STRATHPINE & surrounding suburbs. Limited places available as current permanent clients are being trained in a studio in Stafford, so sessions will have to work around these guys. 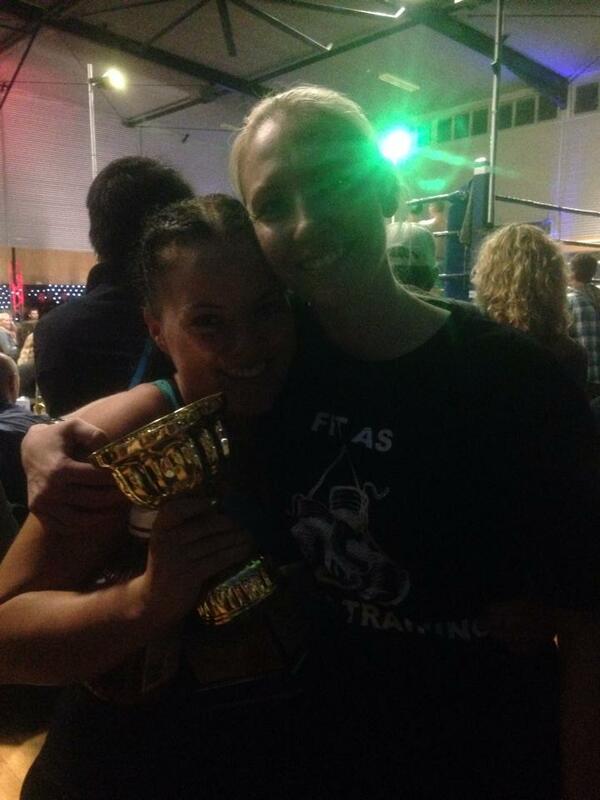 Tash (on the right), with trainer Crystal. 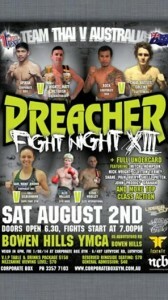 Tash is keen to get in the ring and represent FAFC. 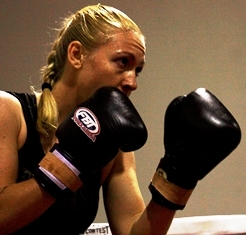 This will be Tash’s first Muay Thai Kickboxing fight. Details on her fight will be posted once a date has been set. Beginning next Wednesday 19th there will be a class held from 6-7pm. This class will be a mixed Boot Camp & Boxing class. $15 per person or $10 if you already PT with FAFT. New clients can still take up the buy 1 class pass, get 1 free deal. Fit As Fitness Training is back from the Christmas and New Year break. All classes are back to normal. Personal Training is by appointment only. If you want to begin contact Crystal ASAP & sort out a day & times that suits you best & begin your awesome journey, in reaching whatever health & fitness goals you want. Sparring for fun & fitness or to fight! Mixed kickboxing, boot camp & sparring classes start Saturday 4th May ’13 @ 9.30am. Wraps and anklets are optional but recommended. Crystal Gibson has relocated & is now Fit As Fitness Training!